Hi friends! It’s been a hot minute since I’ve checked in with my goals. (If you checked out my confession, you might understand why that was the case, but I’m happy to say that I’m mostly back to posting some regular content!). Truthfully, I’m not even sure where in the heck to begin! The past two months or so have been a whirlwind of emotions, stresses and just learning to find myself and it’s been an adjustment to say the least. In a nutshell: I’ve ended my four-year relationship, tried picking up the pieces of letting my life fall apart all while trying to rebalance and rekindle friendships that I’ve neglected while dealing with the aforementioned. I’m only playing the ‘break-up card’ until the end of this post because quite frankly, I’m okay and I’ve dealt with what transpired, processed it and have moved on from it. I’m more than okay, I’m actually fantastic! I’ve found that spark of creative energy and have found that long-lost fire within me to create content and to get back to the gym, while feeling excited and proud of the hard work I’m putting in. With the rediscovered (and revamped) support group in my corner, I feel as if 2019 can actually start now and I can truly make it my best year yet. March brought me my 26th trip around the sun and for once, I genuinely didn’t hate my birthday. Even though I spent the day working, I was able to grab a birthday margarita with my work friends and enjoy a delicious dinner of surf & turf made by my Grandmother with my parents and someone incredibly special. With the last two rollercoaster months, I’m ready to shed the winter blues and fully embrace the springtime vibes ahead. I feel revitalized and more focused than ever to better myself each and every single day. I’m ready to give myself the opportunities to become the woman I’ve always envisioned for myself because now it’s her time to shine. Ideally, I’d love to completely overhaul my life and start over from scratch, but realistically that can’t happen. Life doesn’t come with a reset button. This might be a short list of goals compared to the past, but I’m still learning about my new-found self and just how much she can manage before snapping. I need to be patient and focus more so on just staying consistent. I’ve always been known to bite more than I can chew, so now is the time to reinvent myself. Complete 30-day workout program: Half of the reason I haven’t been feeling right is because I haven’t been at the gym, a place I once found solitude, in a really long time. I’ve been more motivated than ever to shed the weight and it might be because I’ve put on about 15 pounds since November.. I’ve taken a crack at creating my own Workout Program and I want to see what results I can get from this. It’s similar to programs I’ve been successful with in the past, which makes me optimistic it will be the kick in the booty I need. Read at least 25 pages a night (Sunday-Thursday): If we’re discussing my reading challenge I’ve established for myself at the start of the year, it’s almost pathetic how far behind I am. (Let alone with ANY of those goals…). The reading goals I established for myself a long time ago are a little far-fetch, and I don’t like reading for an assignment, which is what a lot of those book reviews I did felt like. I think the goal of 25 books looks like climbing uphill, but if I can chip away at least 25 pages on weeknights, I’ll feel more successful. Teach self Spanish on Duolingo: Even though I don’t have anymore international trips planned (yet), it doesn’t mean I want to stop teaching myself a practical skill. Duolingo has become one of my favorite apps to use (and I’ve even recommended to friends!) and I think it’s so important to teach ourselves something new whenever. I have a background in Italian, so learning Spanish has been an adjustment, but a lot easier than some of the other languages I’ve tried! Etch more time for friends: Adulthood is lonely in itself, and now that my life has completely 180’d itself, I know that I’ll be rooted in NY for a while and not leaving for long/short weekends in Boston, which means more time for my girlfriends. Lately, I’ve been really gung-ho on finding a band of girls who love and support me unconditionally and it’s gone as far as even downloading Bumble BFF to find them! After dealing with the break-up ‘on my own’, I was able to reconnect with some girlfriends of my past and catch up, realizing just how important it is to make time for those who are like family. Whether it’s reaching out to old friends or striking conversations with new ones, it’s time to make memories. 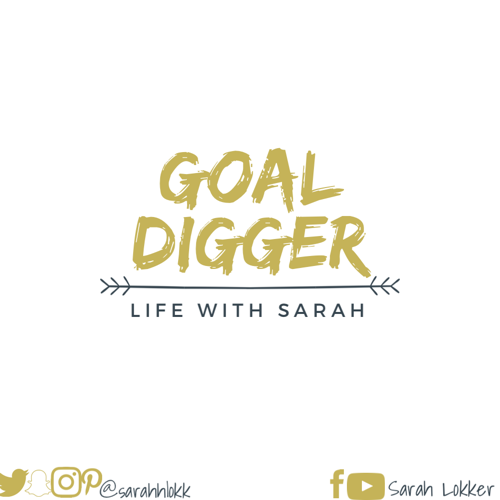 This entry was posted in lifestyle and tagged adulthood, dreams, friends, goal, goal crusher, goal digger, goal getter, goal oriented, goals, lifestyle, lifestyle blog, lifestyleblog, motivate, motivation, reading challenge, sarah lokker, sarahhlokk, weight loss, work, work hard, working out. Bookmark the permalink.